You must be a member of the Munich Scuba Diving Group to attend this activity. Would you like to join this group? 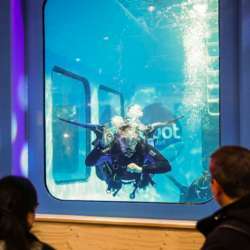 Discover a world of scuba diving by manufacturers, travel destinations and dive certification organizations at the world's greatest Boatshow in Düsseldorf. Pick up some great special offers from equipment to travel destinations. I will attend the show at for 2 consecutive days, most likely 22. Protected content so join me if you plan attending as well.